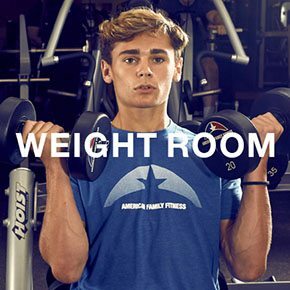 Are you constantly searching for a fitness center that has it all? American Family Fitness believes we are that gym. With the many amenities we offer you won’t know how you exercised without us! At our gym in Chester, we have services and amenities for people of every age and fitness level to join in, feel comfortable, and workout with confidence toward the goals they have set. We everything from single station equipment for strength, cardio, and functional training -- to group classes that range from dynamic Zumba to mindful yoga. With personal training for adults and the KidZone onsite child care for the littles; locker rooms with a steam room and dry sauna. There are sports leagues, American Red Cross Training, aquatics and more. There's something for everyone! Have you been looking for that perfect cardio workout? We have options for all fitness levels, so come see us at our gym in Chester! Proper cardio activity can increase your heart rate and burn fat. It allows oxygen to distribute itself better throughout your body, and can increase your energy. 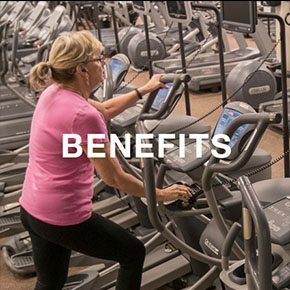 With our many treadmills, bikes, ellipticals, and stairclimbing machines, you will be able to reach those fitness goals in no time. Do you want to increase your muscle tone and strength? Come visit the best gym in Chester for our strength training program. Proper strengthening of the body is wonderful for joint protection, fat burning, as well as increasing energy. Equipped with top of the line equipment that includes free weights from 5 lbs. all the way to 140 lbs., we offer everything you could ever need to reach your strength goals. Do you love your kids -- but wish you could have a little more time to yourself? At our Chester gym we give to you the KidZone. We take kids from 6 weeks to 13 years, and it is a safe place where you can drop them off and know they will be entertained. 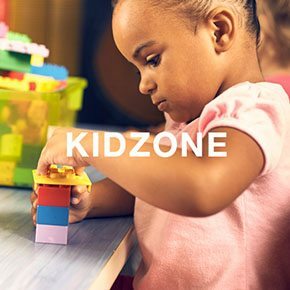 The KidZone offers a wide variety of age-specific classes and play areas, for your children to enjoy, so come on in, drop them off, and go treat yourself!